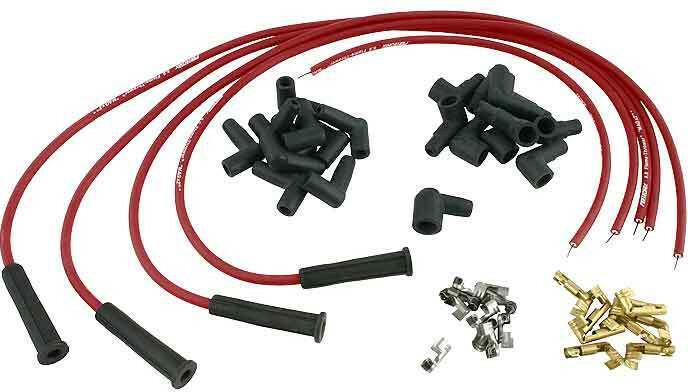 The high-tech ignition lead sets from Pertronix have extremely low resistance. The two-wire system ensures unsurpassed operational reliability: primary winding made of stainless steel wire, a secondary winding made of carbon-reinforced fibreglass. Additional internal insulation prevents arcing even at high revs. The silicone insulation contains a supporting fibreglass braid for better dimensional stability of the cables. The spark plug caps are completely assembled. Lengthen the cables to fit the distributor cap with the supplied boots.